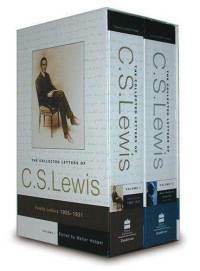 As I began to read Lewis’ wartime letters in 1917-1918 (The Collected Letters, vol. 1), I was struck by the casual tone of his experience. 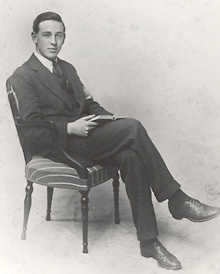 Lewis entered WWI strategically, enlisting before he was conscripted, giving him some options for placement and rank. He knew the danger of war–at least enough to be strategic about it. The words in his letters, though, are jovial at times. “And now to tell you all the news. I am quite fairly comfortable here, we are in huts: but I have a room to myself with a fire in it & so am quite snug. The country is glorious – very wild & hilly & we are up a good height ourselves. From the camp I can enjoy a fine landscape – nice cosy little bits of green country with cottages & water & trees, then woodier hills rising at last into big, open moors that make up the horizon. It is especially lovely in the mists of early morning or of night” (c. Nov 28, 1917, 3d Somerset Light Infantry, Crown Hill, Plymouth). It isn’t that Lewis was completely unaware of what was facing him at the front line of the Great War. 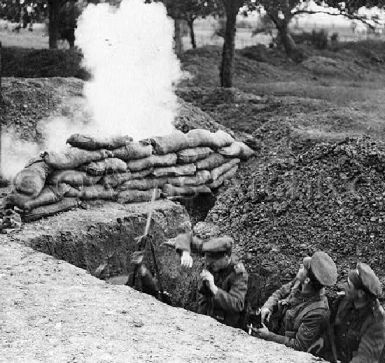 His infantry division, still in training in Britain, was abuzz with the idea they may be sent to Ireland to guard against Sinn Fein, which would “be a great deal pleasanter than in France” (Nov 5, 1917). I’m convinced, though, that he doesn’t fully understand what war is really like, what he is really marching toward. “The war itself has been so often described by those who saw more of it than I that I shall here say little about it. Until the great German attack came in the Spring we had a pretty quiet time. Even then they attacked not us but the Canadians on our right, merely “keeping us quiet” by pouring shells into our line about three a minute all day. I think it was that day I noticed how a greater terror overcomes a less: a mouse that I met (and a poor shivering mouse it was, as I was a poor shivering man) made no attempt to run from me. Through the winter, weariness and water were our chief enemies. I have gone to sleep marching and woken again and found myself marching still. One walked in the trenches in thigh gum boots with water above the knee; one remembers the icy stream welling up inside the boot when you punctured it on concealed barbed wire. Familiarity both with the very old and the very recent dead confirmed that view of corpses which had been formed the moment I saw my dead mother. I came to know and pity and reverence the ordinary man: particularly dear Sergeant Ayres, who was (1 suppose) killed by the same shell that wounded me. I was a futile officer (they gave commissions too easily then), a puppet moved about by him, and he turned this ridiculous and painful relation into something beautiful, became to me almost like a father. But for the rest, the war—the frights, the cold, the smell of H.E., the horribly smashed men still moving like half-crushed beetles, the sitting or standing corpses, the landscape of sheer earth without a blade of grass, the boots worn day and night till they seemed to grow to your feet—all this shows rarely and faintly in memory. It is too cut off from the rest of my experience and often seems to have happened to someone else. It is even in a way unimportant. One imaginative moment seems now to matter more than the realities that followed. It was the first bullet I heard—so far from me that it ‘whined’ like a journalist’s or a peacetime poet’s bullet. At that moment there was something not exactly like fear, much less like indifference: a little quavering signal that said ‘This is War. This is what Homer wrote about’” (185-186). Although this paragraph is only a hint of what he experienced, it is detailed enough for us to see the change that occurred in the man during a single winter when he was twenty. This entry was posted in Lewis Biography, Memorable Quotes and tagged C.S. Lewis, letters, walking, war, wartime letters, WWII. Bookmark the permalink. Excellent post. This is particularly timely, as so many thousands of young men and women (the same age as Lewis, when he wrote this) have become acquainted, firsthand, with war. It is interesting how he notes the varying levels of familiarity with “war.” He acknowledges that many grew to know it much better than he. This despite the fact he was wounded in combat. I think it is timely too. War is so far from my reality–I study it, and yet I don’t understand it at all. Nice post ! WW1 was the real hell on Earth. There is indeed a hell, just on the other side of the orchard. Humans aren’t godforsaken, but they sure try to pretend they are with our inventiveness in the arts of war. I’d forgotten that Lewis had been wounded in that war. Gives renewed credence to his warning about the mechanization of the human race.